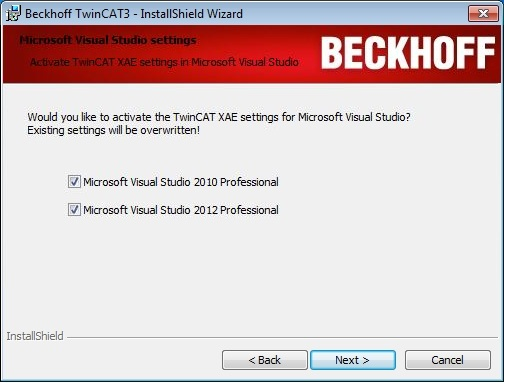 TwinCAT 3 is PC based control software and software development process is integrated into Visual Studio® 2010/2012/2013/2015. This is compiler for the IEC 61131-3 languages. 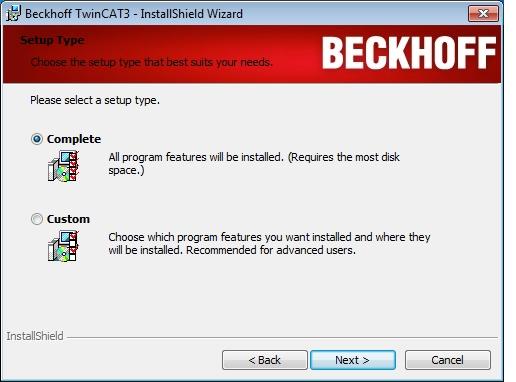 There are two options for installing TwinCat 3.1 software. 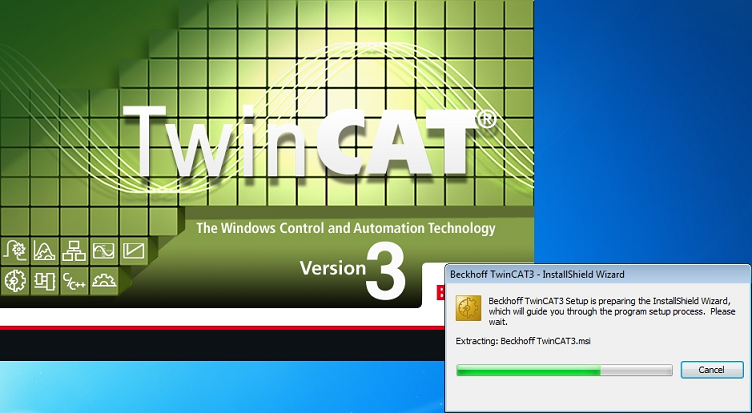 The TwinCAT 3 engineering components enable the configuration, programming and debugging of applications which we need if we want to develop and test software written in structured text. 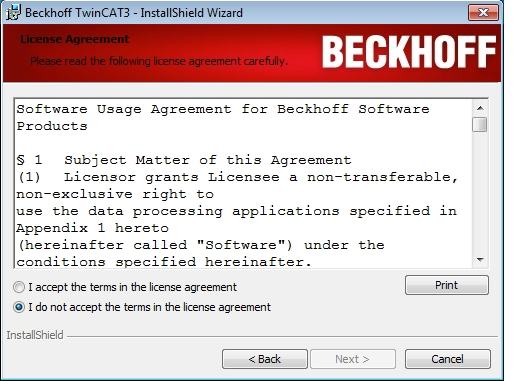 Since we focus on development of PLC software in structured text, we download TwinCAT 3.1 – eXtended Automation Engineering (XAE) from Beckhoff site. 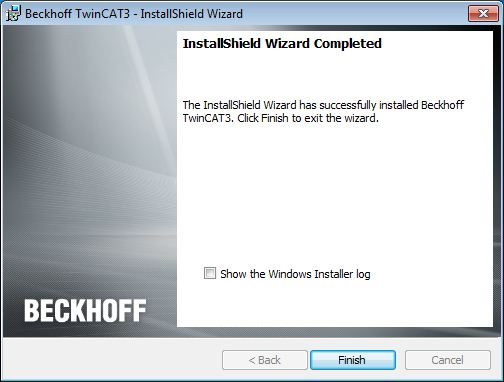 The latest version of download file is TC31-Full-Setup.3.1.4022.16 . This option activates or deactivates the additional hardware capabilities of virtualization technology. 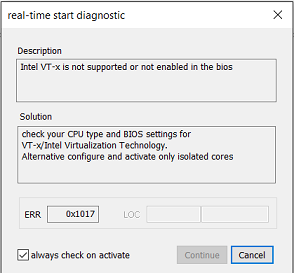 If virtualization in BIOS is not set we get the following error when we run a PLC program in this laptop, so before continueing we should check the BIOS. Restart the computer so changes will be in effect.